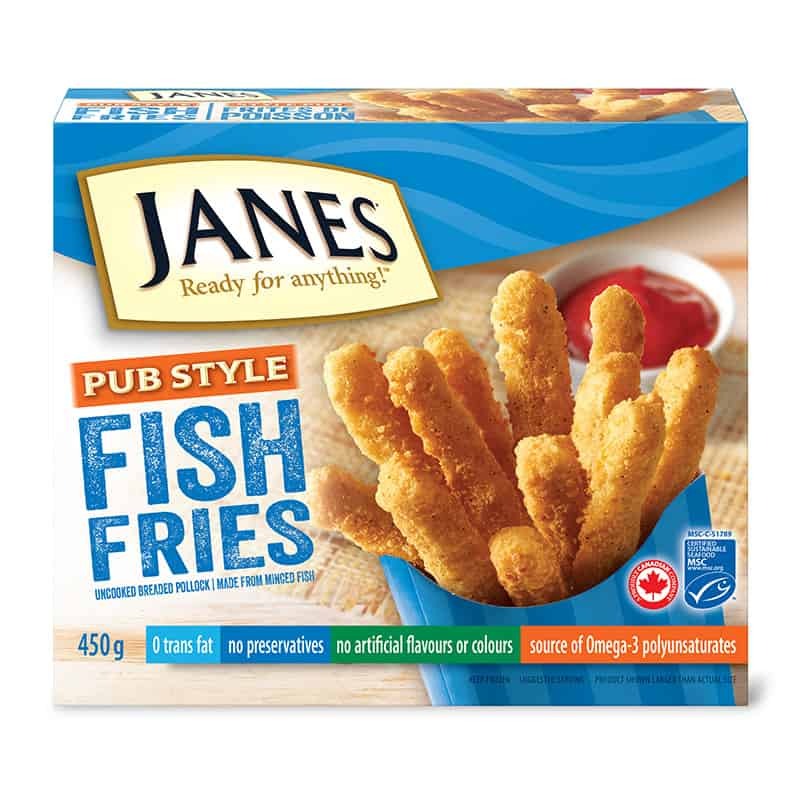 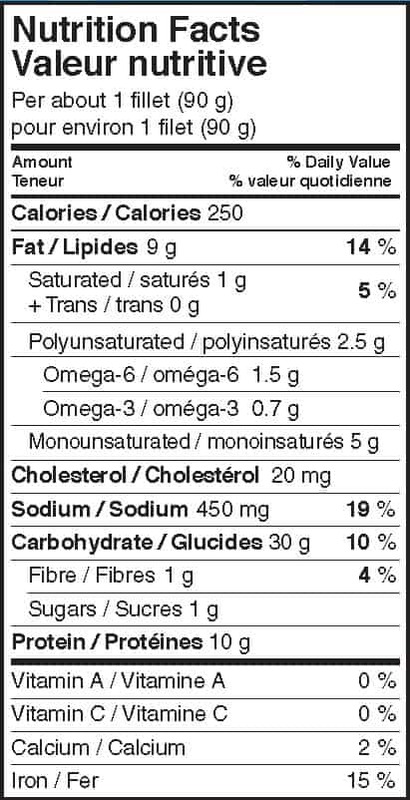 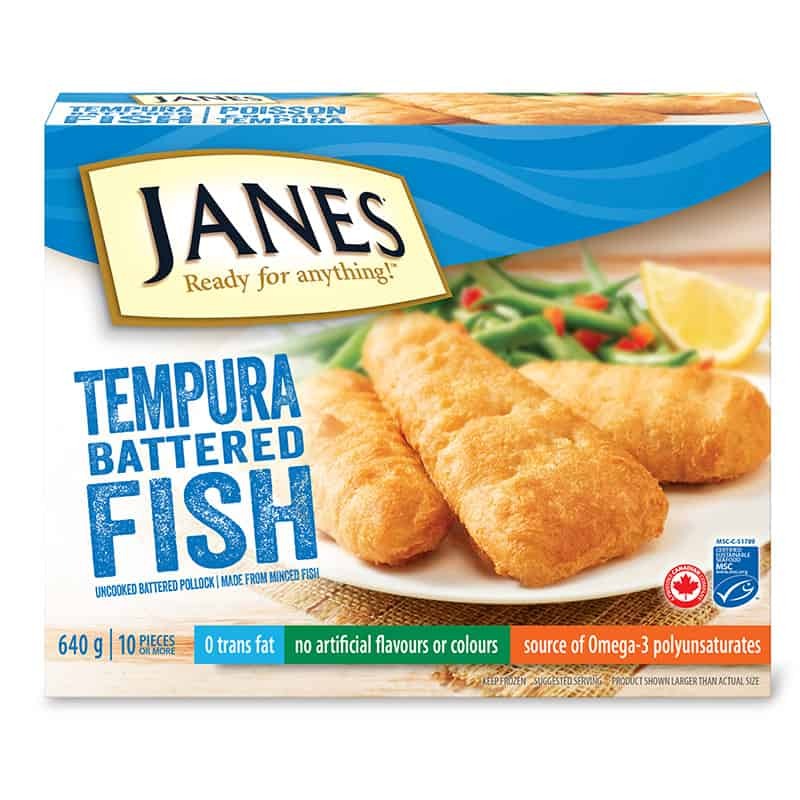 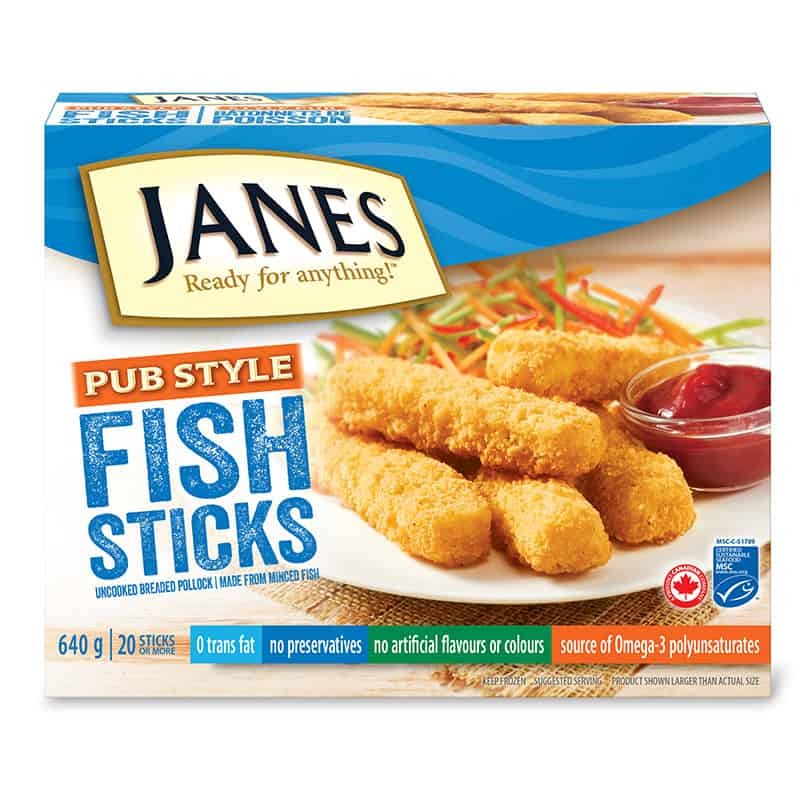 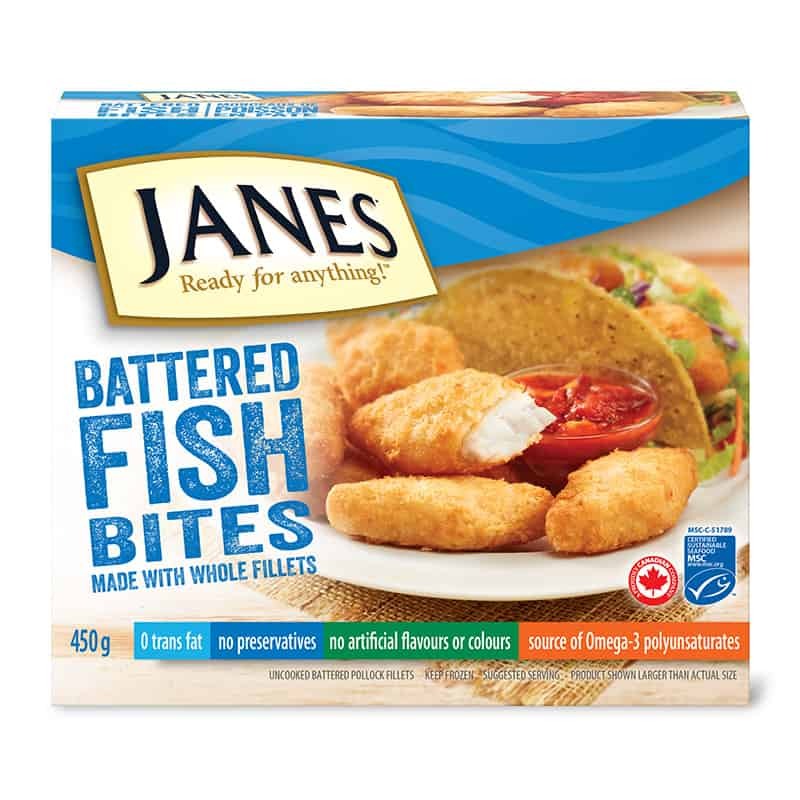 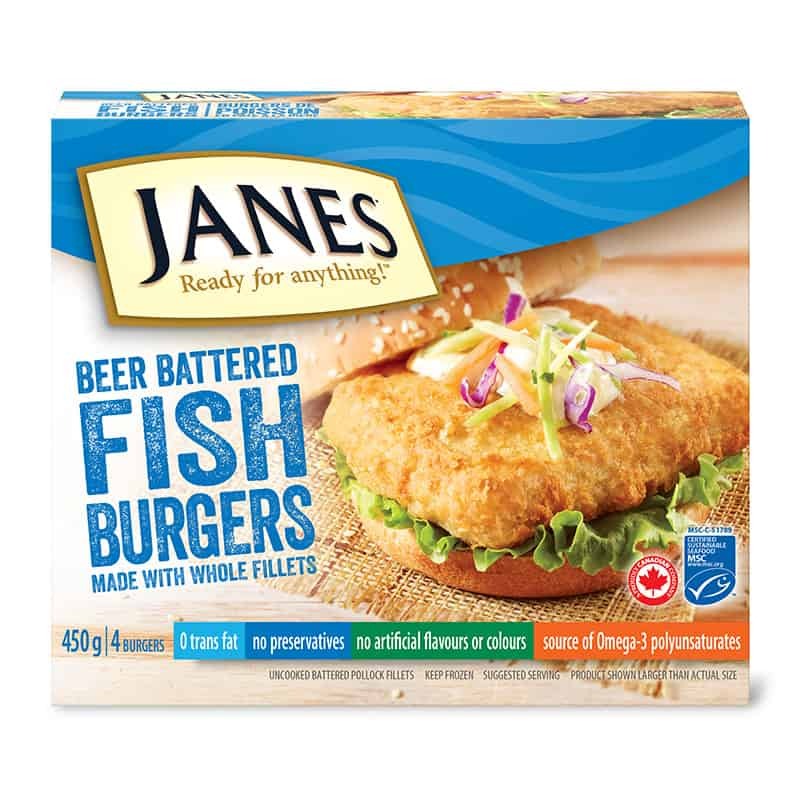 Pub Style Fish Fillets - Janes® Ready for Anything! 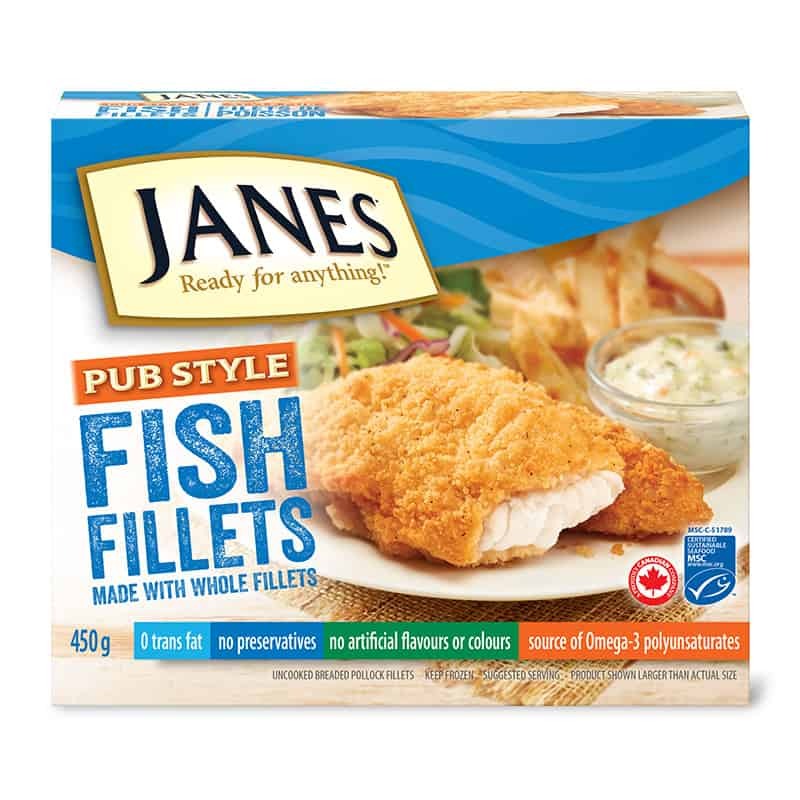 For those who like the flavour of our Pub Style Chicken, try our Pub Style Fish Fillets, caught off the shores of Alaska and breaded in our famous Pub Style coating to prepare it for your kitchen table. 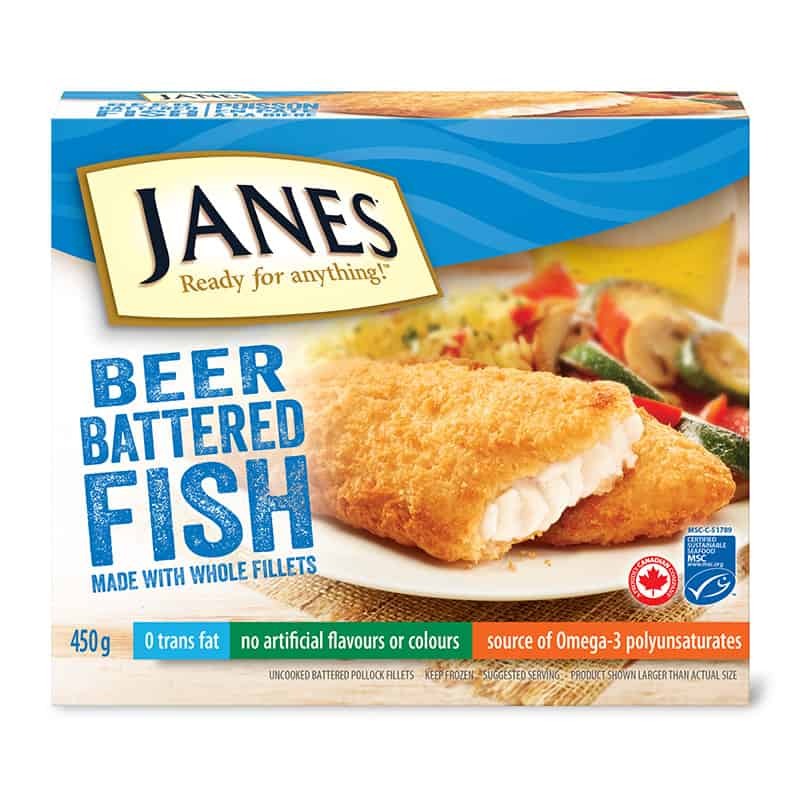 Cook from frozen. 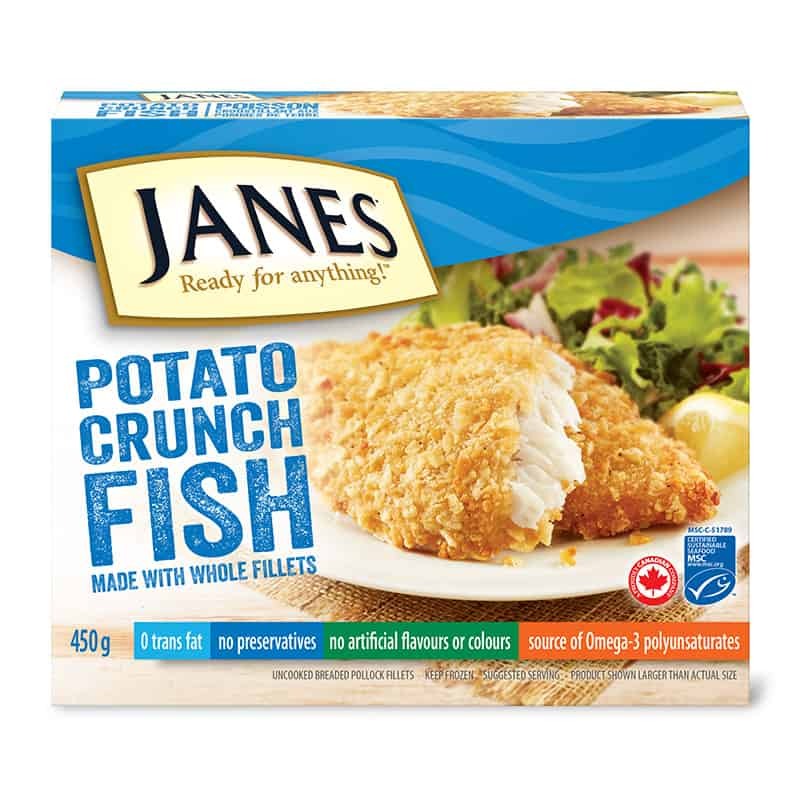 Bake in a preheated oven at 425°F (218°C) for 15 minutes, flip, then cook 10 more minutes. 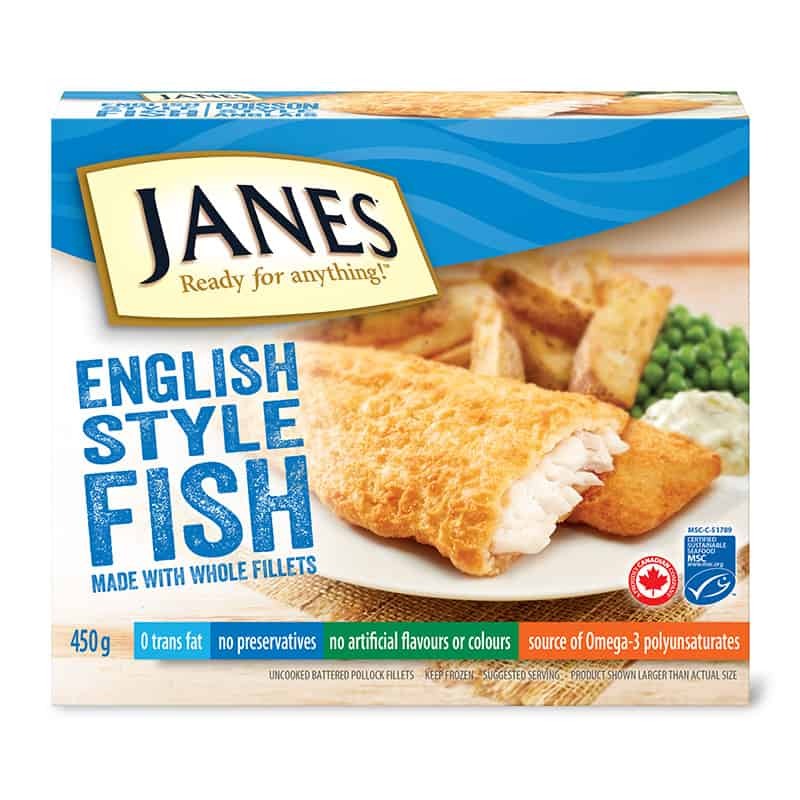 Cook to an internal temperature of 160°F (72°C).